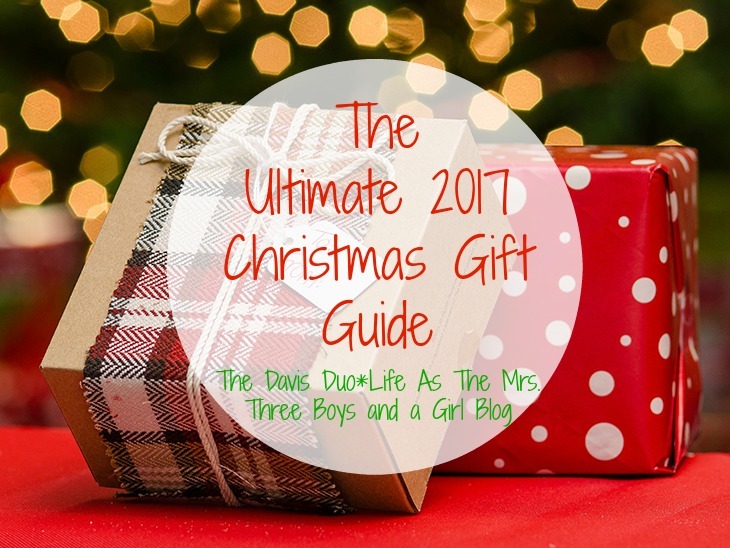 I am linking up with Owen (The Davis Duo), Emily (Three Boys and a Girl Blog) and Brittany (Life as the Mrs.) for a Christmas Gift Guide. Each week they are highlighting a person for Christmas gifts. This week is kids. 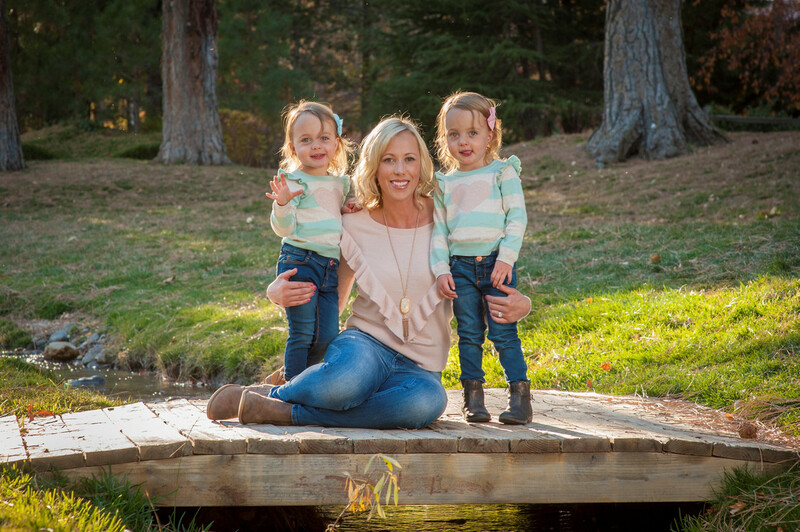 I am going to focus on girls gifts since I have twin girls. But some of the items are gender neutral. Be sure to check out others, as I am sure they have some boy focused gift guides. First up, is a play make-up set. My girls come into the bathroom every single morning to watch me get ready. They always comment on mommy's make-up and how they want some. For now, I only give them chapstick. They love that. Every since the girls dressed up for Halloween, they want to play dress up and wear fun dresses and the shoes. I swear these girls get their father's shoe loving gene. They put on different shoes throughout the day. 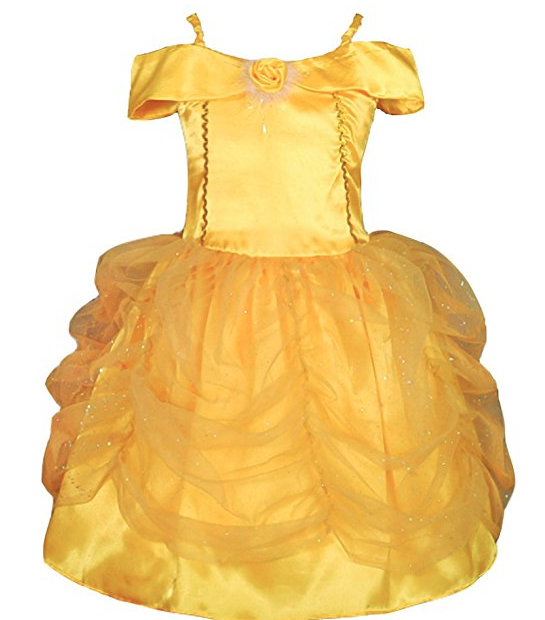 They would definitely love a Belle and a Rapunzel dress. Another item that the girls love that they played with at my nephew's house was a basketball hoop. 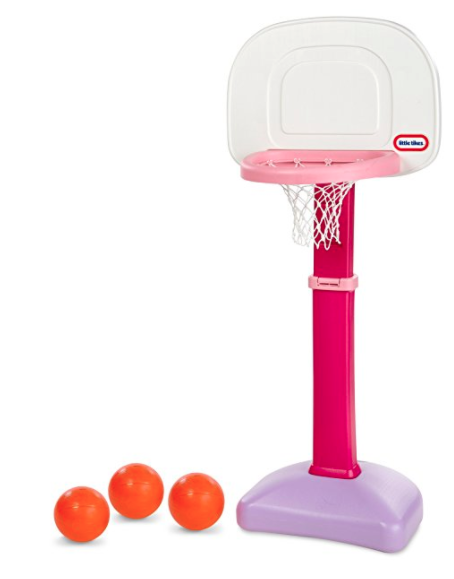 We got it for my nephew for his birthday and the girls love shooting hoops. Heck, we all had a good time shooting hoops. Plus it adjusts to three positions so it grows with the child. Do your kids watch Mickey's Roadsters? Mine do and they love it. I like it more than Mickey Mouse Club, but the girls love both. The girls also love Minnie and her Happy Helpers segments on the show. I found the cutest Happy Helpers set. We are on the hunt for a power car for the girls. Well one each. I saw these ones on Amazon and thought they get great reviews. 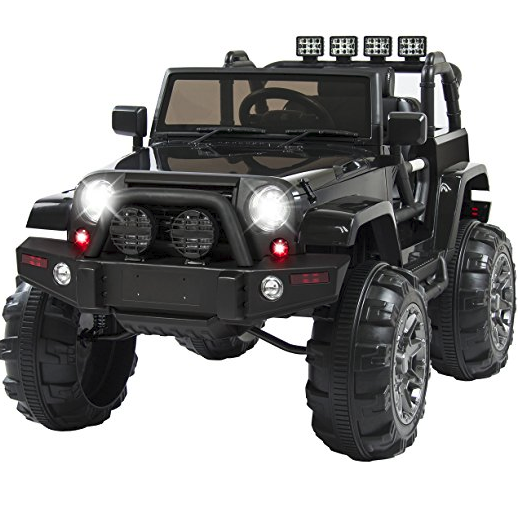 Plus they have 12V which seems to be better for longevity and how fast they go. There is a car and a jeep that we are looking at. This isn't something the girls are getting because they already have one and love them. Their grandparents got them these several months ago while at the Discovery Museum. The girls have a blast on them and use them all over our driveway. Plus they will get some clothes, books and small items. What is on your Kids Christmas list? thanks for linking up with us!! That play makeup set is darling. I would have loved that as a little girl! 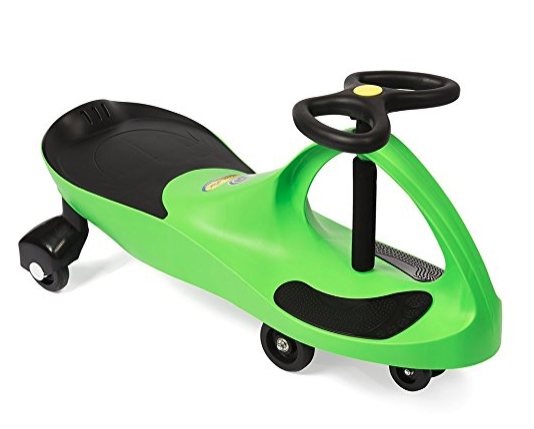 Also my boys love those ride on toys, I think they are great for boys or girls! I love the pink barbie car that some of my girlfriends with girls have! Great list! As a fellow girl mom, I give two thumbs up to all your picks. :) Both of my girls use their pretend makeup kit (usually on me, lol!) daily and dress up is huge around here, too. 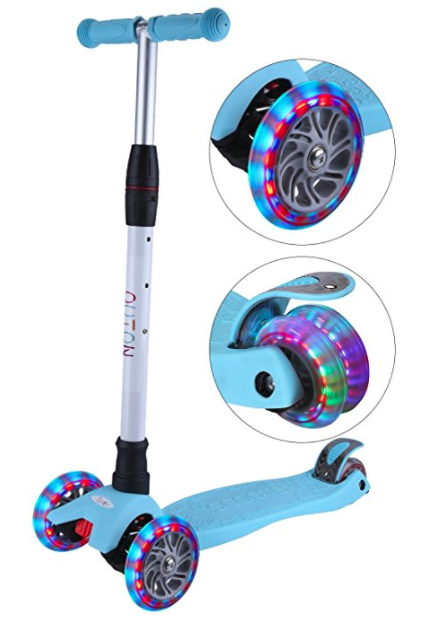 "Santa" is getting C a scooter this year, also! Thanks for linking up!! That play makeup set is SO cute and I'm so glad you posted it because my niece has been begging for one for Christmas! I love Mickey's Roadsters and I was looking at that play set but I think it was ages 3 or 4 and up, so too old for Zoe this year. There is a Little People Princess Magic Wand castle thing I might get her instead because it is 1.5 years+. But anyways, yeah, Mickey's Roadsters is so cute, I like it better than Clubhouse and I love the Minnie Bow-tique segments lol. Zoe is super into Sophia the First right now too. Such cute gifts!!! 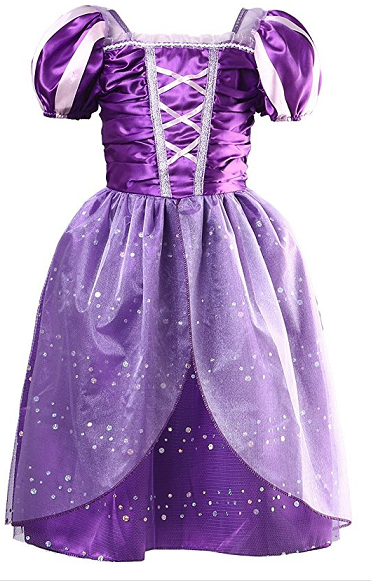 My daughter is obsessed with all things princess dresses! Great ideas! That little make-up set is so cute!! I think I am going to have to add that to the list for my niece! It is perfect for little girls at this age. I hope your niece enjoys it. So many great picks! That little makeup set is adorable!! I think I might have to get that for my friend's daughter. She would love it. ahhhh the little cosmetic set! YESS!! Super cute ideas! Love the costumes!! 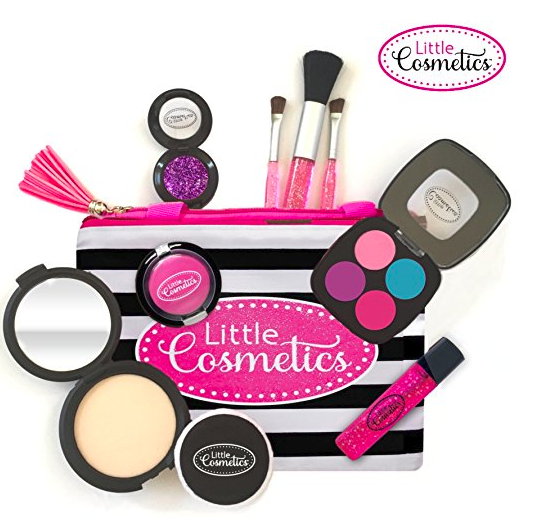 That Little Cosmetics set is ah-mazing. Olivia has had hers for over a year now and she still plays with it all the time! She has to take something that starts with letter L for show and tell this Friday and she already told us she wants to take lipstick. Lol. This is such a fun gift guide! I have been slowly working on gifts for my little girl and gosh it's hard haha. Fun ideas!! I used to see the plasma cars around all the time. They do seem really fun. My girls have a blast on them. I want one in my size. Ha. Oh so fun! I will ahve to see if my nieces have all of these things, I want to buy it all for them! Stopping by from the linkup! That little makeup set has been on my amazon wish list for a year! I think it's time to pull the trigger. Lol. That happy helpers toy is so cute! Great finds! 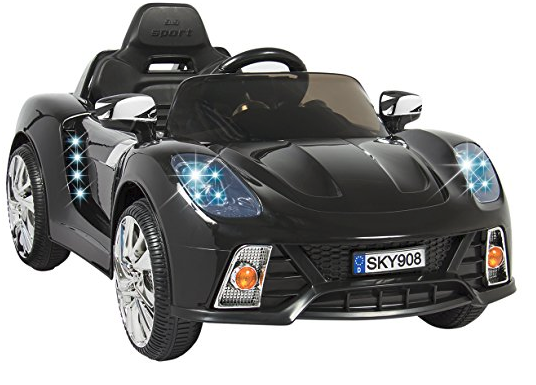 WE have the plasma car and a motor car on our list too. E loves being outside and i think she would love either one. 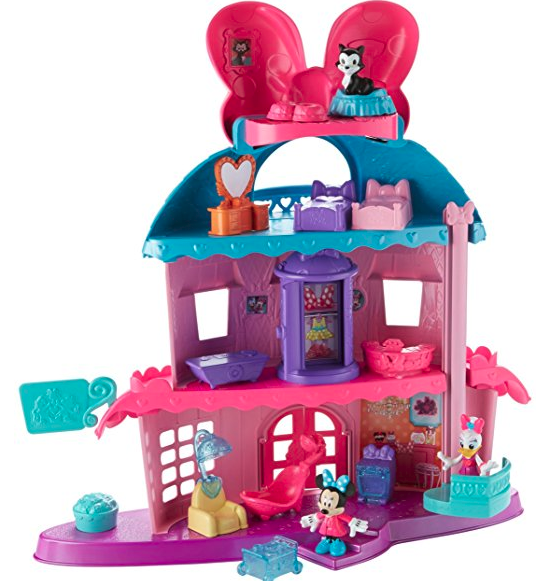 I love that makeup kit and the minnie house! I think I will add them to our list! Thanks for sharing! You are very welcome. I am definitely getting them for my girls.